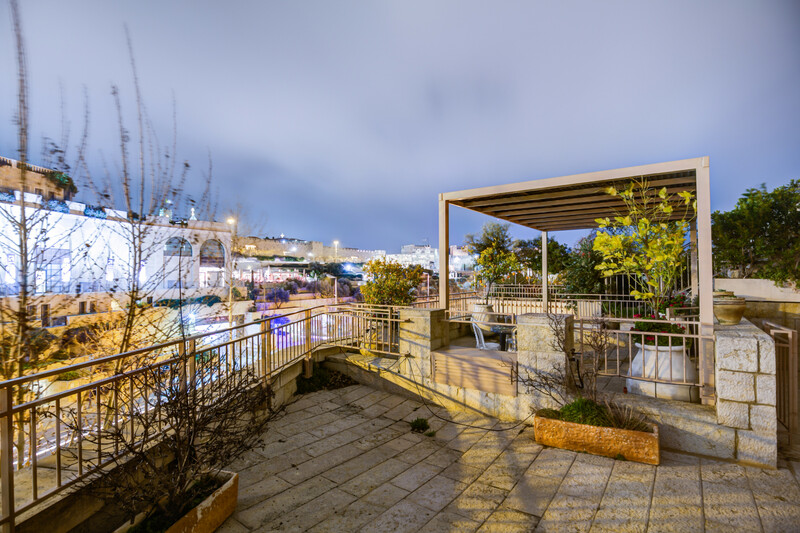 Apartments in Jerusalem - Secret Garden in Old City, Parking & Jacuzzi! 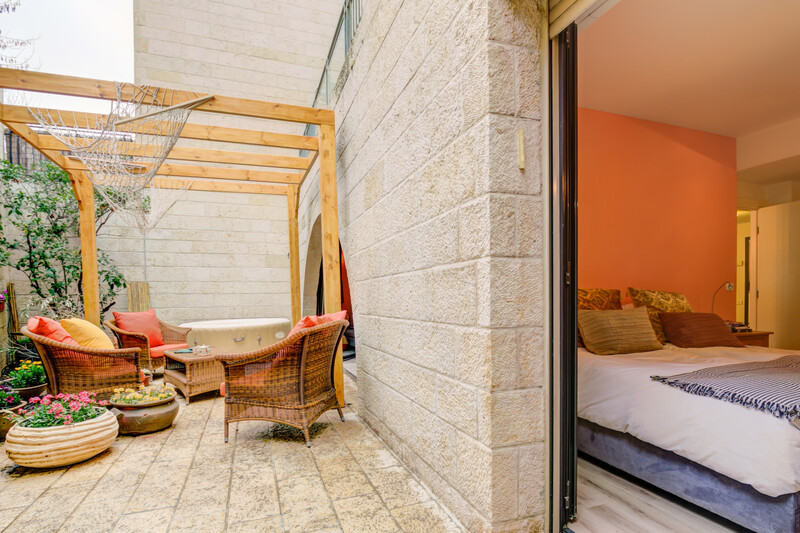 Welcome to FeelHome Israel’s newly listed warm & welcoming Secret Garden Apartment in the heart of the Old City, just a few minutes walk from Jaffa Gate! 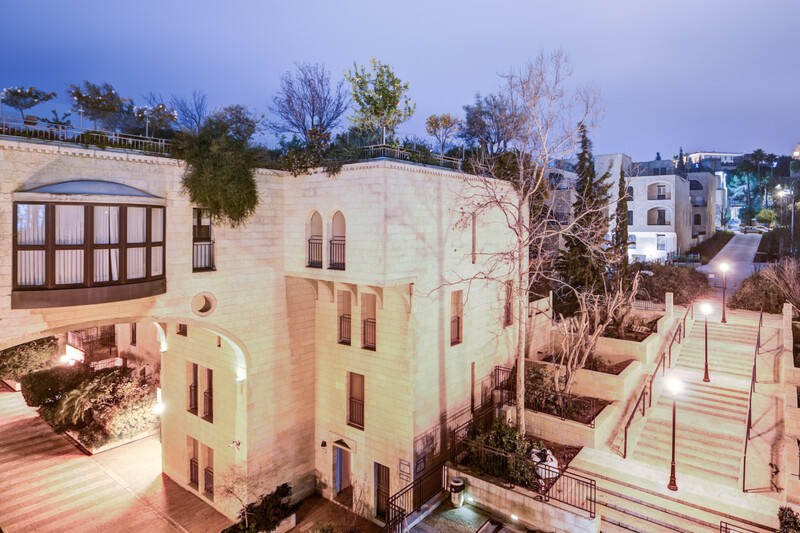 Located in David’s Village - an exclusive residence attached to the David Citadel Hotel, this beautiful apartment was designed with care and warmth, and with our guests 100% in mind. 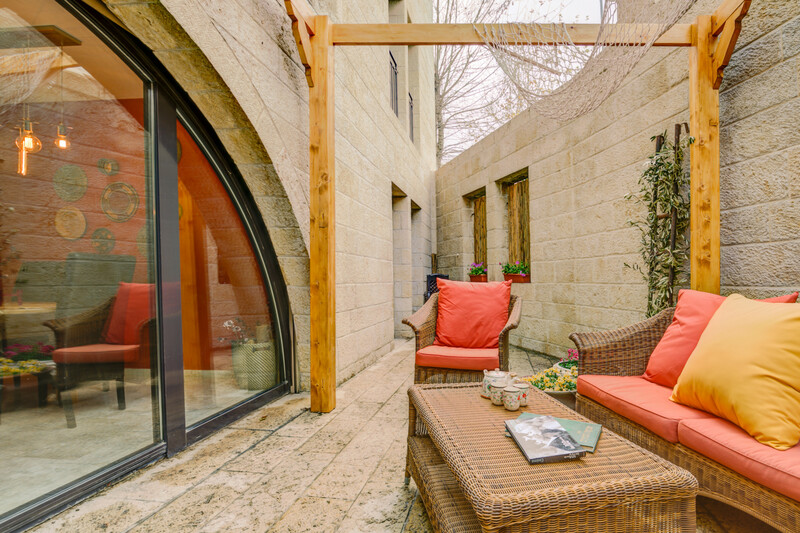 With the help on a British-Israeli interior decorator who artfully fuses the outdoor and indoor spaces, we have made this home feel modern, cozy, warm and inviting. 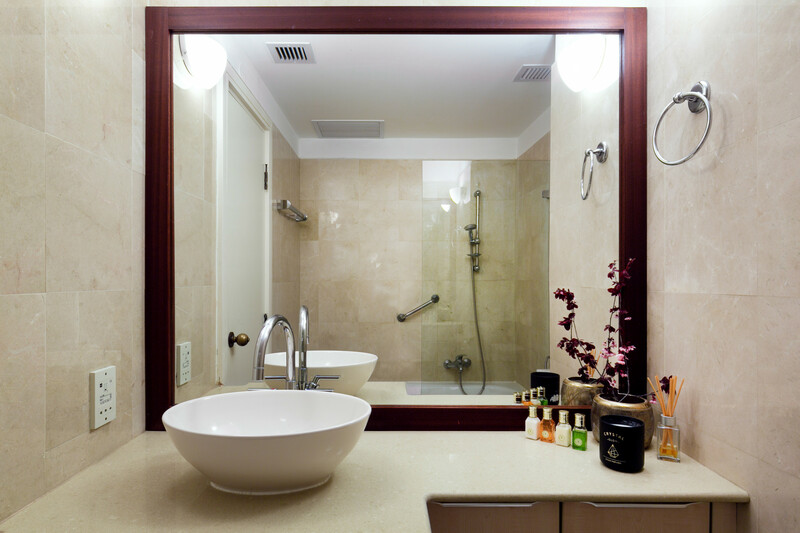 If you’re looking to have luxury hotel experience with the comfort of being in your own home – this is the place for you! There are so many highlights about this apartment. Firstly, the location is UNBEATABLE. 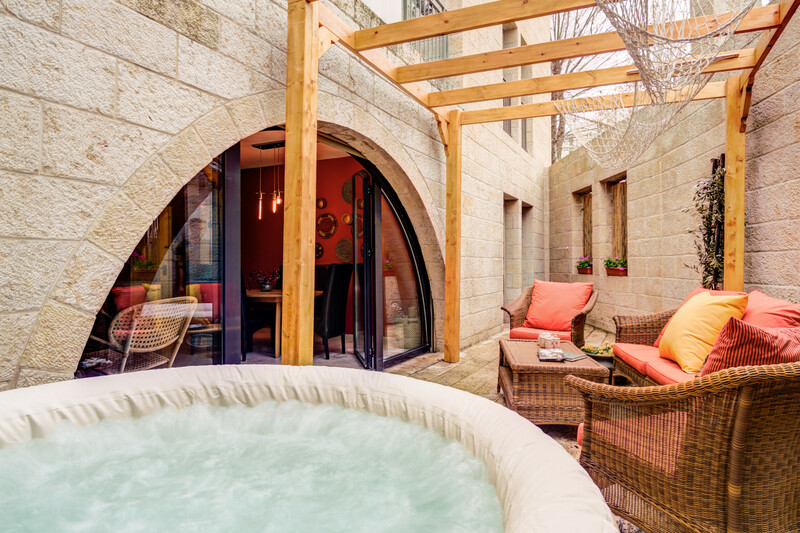 Just few steps away from Jaffa Gate in the Old City, a 1-minute walk from Mamilla Hotel, Mamilla Mall (designer outdoor shopping), David Citadel Hotel and tons of delicious restaurants and cafes, you will find yourself in the heart of it all during your stay in Jerusalem. The David’s Village Residences itself is a private and exclusive ‘Chateau-like’ complex, which you will be sure to enjoy. Secondly, the apartment is very large for a 2 bedroom – with a spacious living room, a beautiful oak wood dining room table that expands to double its size, an open kitchen, 2 bedrooms with their own bathroom, and a MAGICAL garden terrace with pretty flowers, luxury outdoor furniture and a Jacuzzi – you will feel as though you are in a secret garden getaway during your stay! 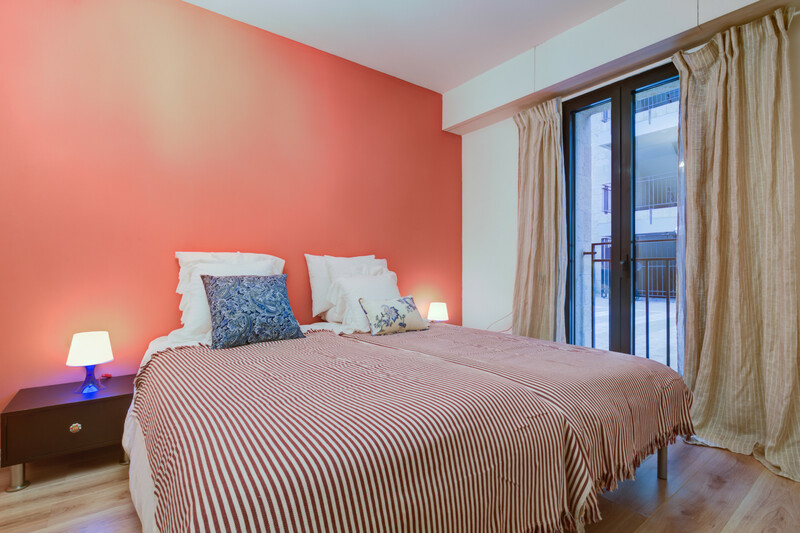 The apartment is 135 square meters (including outdoor space) and is on the ground floor of beautiful building complex. 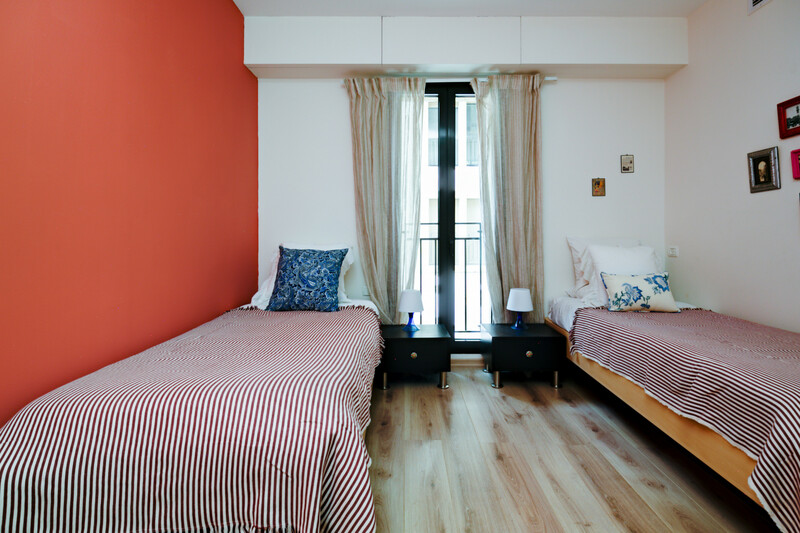 There are 2 bedrooms, each with queen-sized beds that can split into 2 single beds, if desired. There are blackout blinds throughout the apartment, allowing for privacy and deep sleep. Each room has lots of closet space. 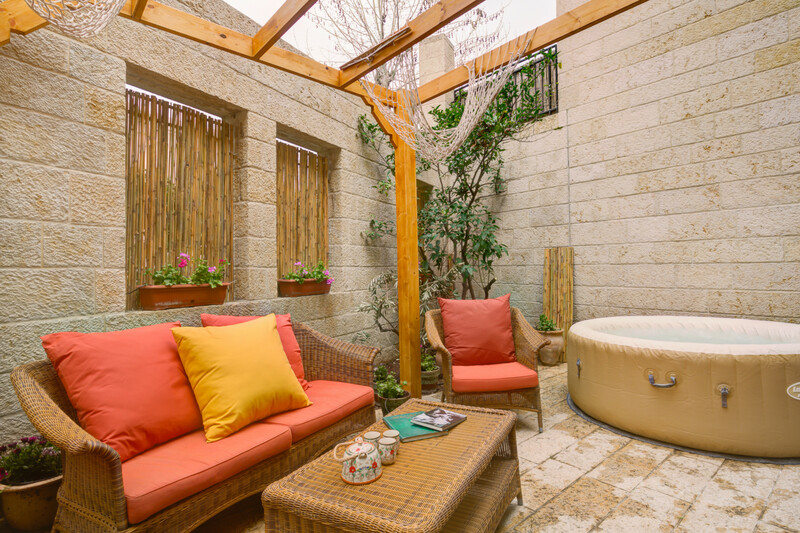 The master bedroom has its' own private entry to the terrace and has an en-suite bathroom with a bathtub. 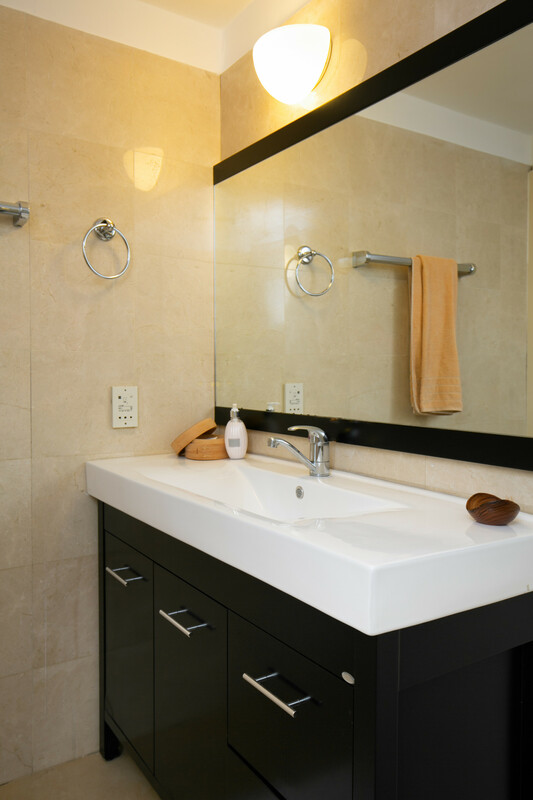 All appliances, furniture and lighting are new and of high quality. There is a washer/dryer and a dishwasher, making everything very easy and comfortable. 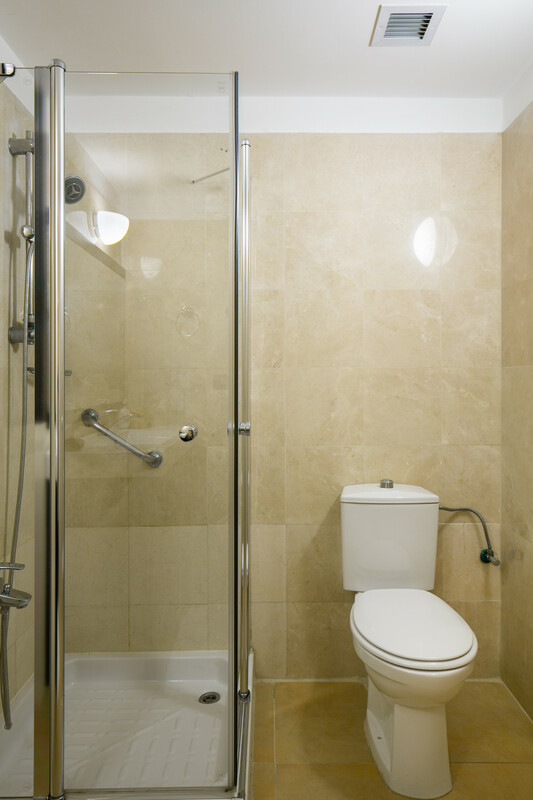 A private underground parking spot is included, with an elevator leading from the parking area to the apartment. 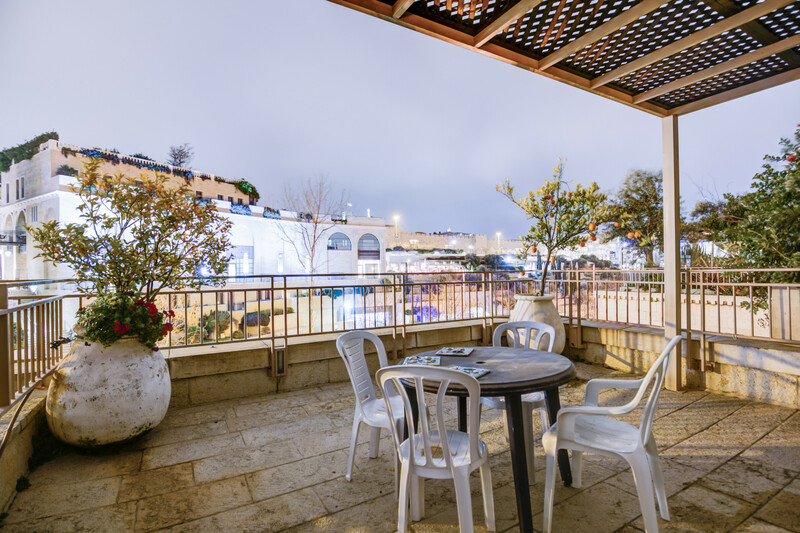 We are based in Tel Aviv so we won't be able to meet you in person upon your arrival, but we do make sure to send all our guests a detailed file with all the instructions on how to access the apartment and make themselves feel at home. We have a colleague in Jerusalem that can help if there are any emergencies. 5 Single beds, 1 Sofa bed. 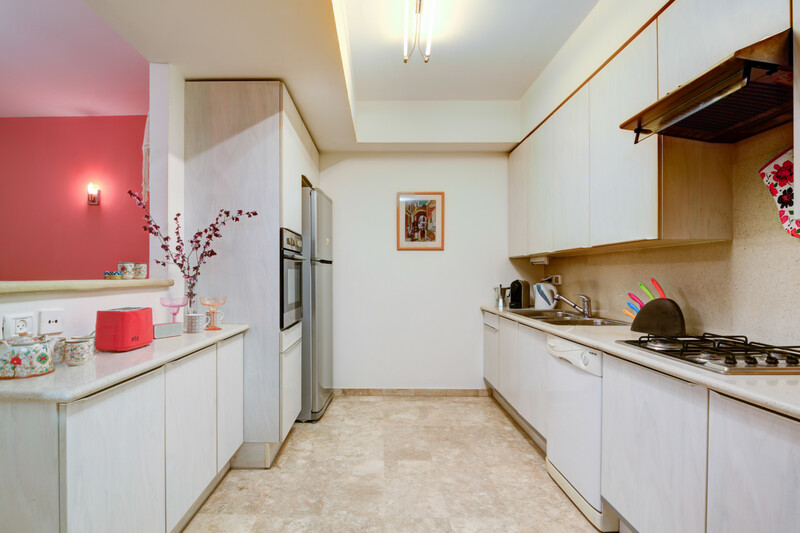 1 TV, TV Satellite (Languages: Spanish, English, German, French, Russian), DVD, garden, garden furniture, fenced garden, 35 m² terrace, iron, internet (Wi-Fi), hair dryer, childrens area, jacuzzi, 90 m² property, access without stairs, central heating, air-conditioned, Garage in the same building.